Although very few details have been given at this time, Natsume has released what appears to be the game’s official logo, which you can see below. The company has also revealed a bit about the title’s storyline via a PR announcement. After meeting a mysterious man at a museum, three college friends set off on a summer road trip to find the elusive fish he mentions to them. But what’s the story behind this fish? And for that matter, who’s the man who sent them on their adventure in the first place? He certainly is a unique individual, to say the very least! In any case, working together, these friends will unlock all these secrets and more in Reel Fishing: Road Trip Adventure! 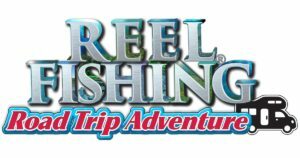 Reel Fishing: Road Trip Adventure is scheduled to release this Summer on the Nintendo Switch & PlayStation 4.